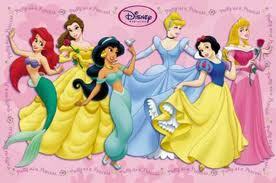 This entry was posted in Gender, Race and tagged Disney, girls, women. Bookmark the permalink. As the mother of a 3.5-year-old girl, this issue concerns me very much. I don’t have any idea how to protect her from the ubiquitous princess culture. It’s EVERYWHERE! Jason showed me these after I posted! They are amazing, and they almost merit their own post. I love the Little Mermaid one! Thanks for posting! Mox, look forward to your thoughts on the following article. The fact that you are all aware and sensitive to the issues means our society is better equipment to make changes. Fifty years ago when Disney began these shows we were in the midst of fighting for civil rights and not very far removed from womone’s right to vote and slavery. Progress may be slow and unsatisfactory to many, but it is happening. It is up to us to keep it moving. Thanks for your thoughts, Dad! Any ideas for how to make progress?